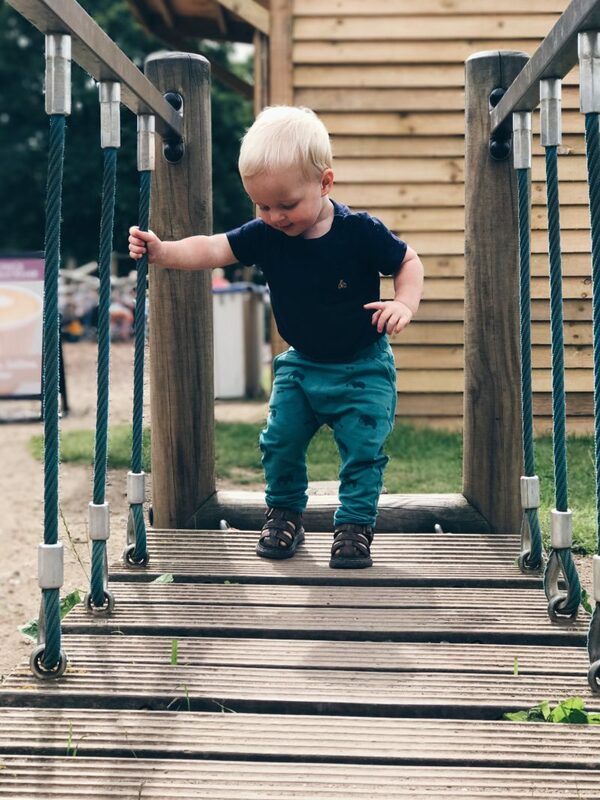 We’re already here again, another month closer to 2….Oliver’s lost the whole babyness about him, he’s a fully fledged toddler now. I can’t believe that my baby is so grown up already. I don’t think he’s changed too much this month, but there are some things that he’s definitely learnt. His speech is slowly coming on, ‘oh dear’ is still his favourite phrase, but he also loves saying ‘bang’ when he walks into things (or touches things, brushes things, basically any time his body comes into contact with anything!) He has now learnt the difference between a car and a bus and will point and tell us what it is. Oliver still doesn’t say no, he will shake his head, but he will say yeah and nod as well! Other words he has learnt this month are ‘banana’ (pronounced ‘balala’) and chair. Oliver absolutely loves running around, being free and he has some real speed now. He will climb on anything, his favourite thing at the moment is climbing up on the kitchen side which is a nightmare!! He loves to jump, and really gets off the ground now, he jumps up and says ‘ju!’ He also loves jumping off the curbs and with my help he really loves jumping off of the bed and dining chairs! 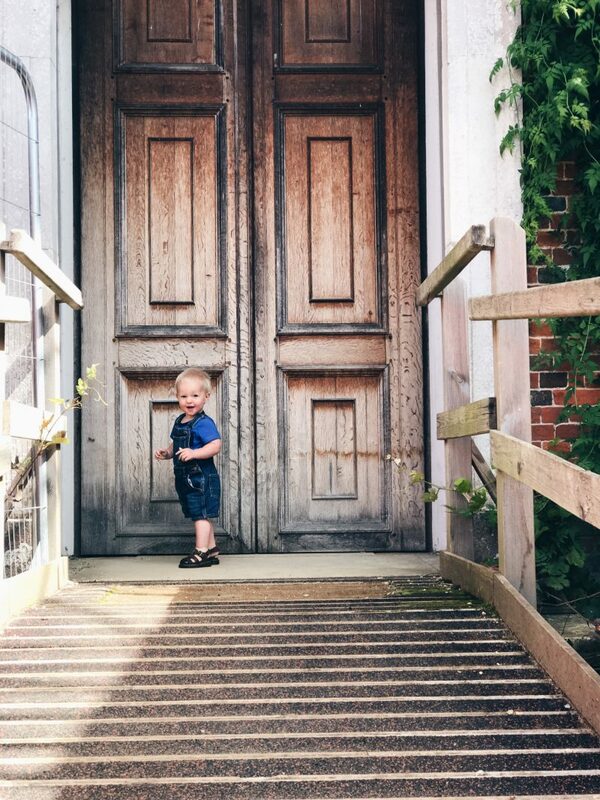 He also taught himself to walk down the stairs this month, with every step down he says ‘down’ which is so sweet. 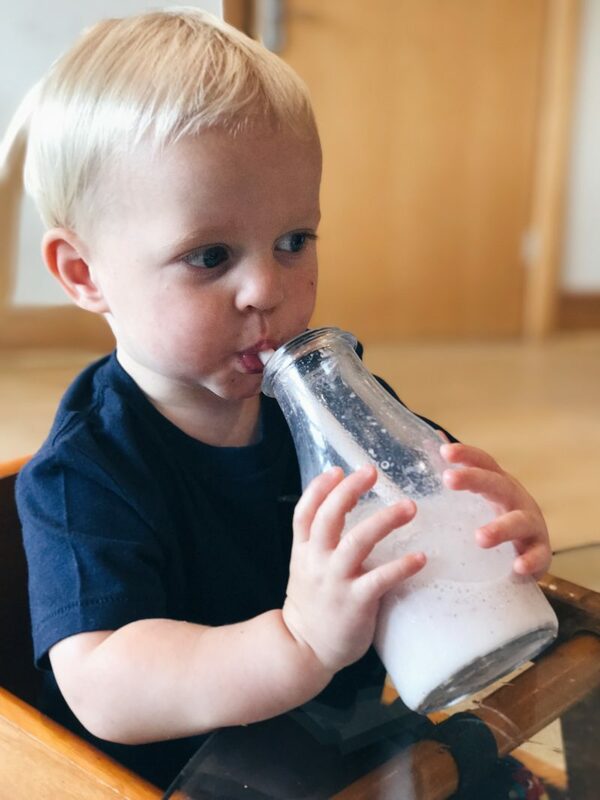 Sometimes I can’t believe how physically advanced he is, he always seems to be well ahead with all his physical milestones! Oliver has started to eat so much more now, and generally will eat most of a meal, rather than before when he would pick out his favourite bits of it. He seems to be really enjoying his vegetables recently, as well as his fruit! He will try to eat most meals with his spoon or fork, I think he finds it a real novelty still because he always gets so excited when I bring his fork out! 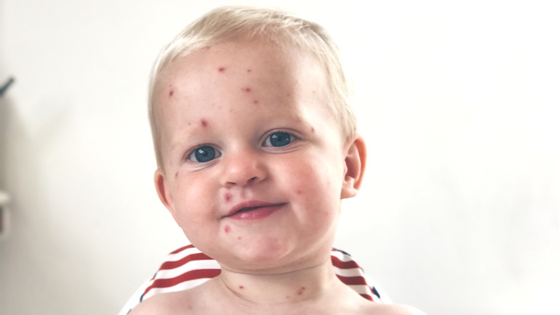 This month Oliver came down with chickenpox, so we haven’t been up to much at all as we were housebound for about a week whilst we waited for him to scab over. He still wasn’t 100% himself for another 5 or so days after he scabbed over and was very clingy, tired and emotional. 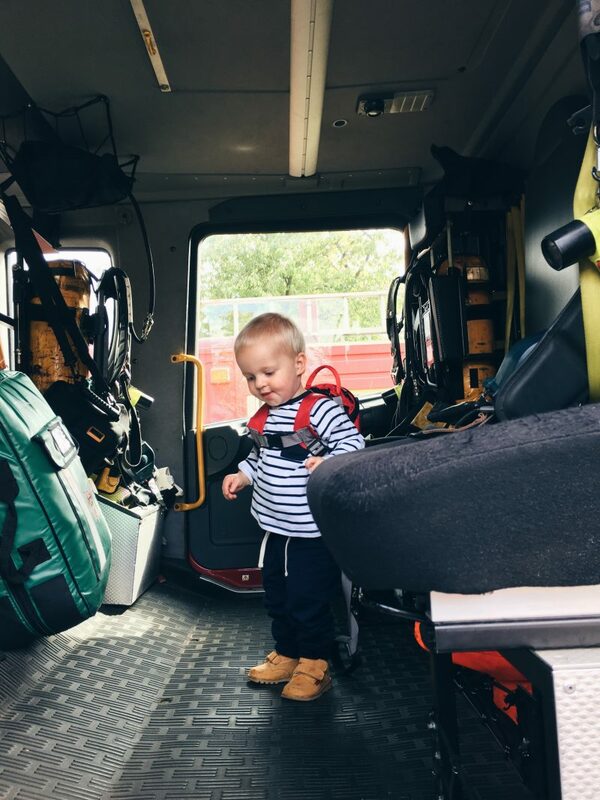 Other than being stuck inside we have been out with a couple of my work friends, lunch with our baby group friends and a trip to the local fire station for their open day. We have lots of plans this month coming, our first family holiday with just the three of us, and hopefully some fun days out as well!